STATE CAPITOL, PHOENIX – Rep. Albert Hale, D-St. Michaels (District 7), has introduced legislation to promote the interests of Native American nations in Arizona. In his last year as a state representative, Hale continues to address the needs of his district and indigenous communities in Arizona. “I am honored that I have the opportunity to serve my community at the Legislature. There comes a time when we must make way for new ideas and new energy, which is why I am not seeking re-election. I will continue to work for our people until the end of my term. I am looking forward to working with my colleagues and constituents on these important issues, and I am grateful for their continued support,” Hale said. Exempts community colleges that are owned, operated, or chartered by Indian tribes from expenditure limitations. Reorganizes the Arizona advisory council on Indian health care to add greater representation and to better serve the indigenous communities. Provides funding for the operation, maintenance, renewal and capital expenses of the Northeast Arizona Technological Institute of Vocational Education District, the only Joint Technical Education District in an Indian Nation. JTEDs provide career and technical education for native students. Allocates $7.5 million to help build a Supreme Court Complex on the Navajo Nation. The entire construction project is expected to cost about $15 million, and the Navajo Nation is expected to contribute the other $7.5 million. Allows enrolled members of Indian Nations to qualify for vehicle sales tax exemptions when they purchase a vehicle even if they reside within the boundaries of an Indian Nation where they are not enrolled. Appropriates $3.4 million from the state general fund to the Navajo Nation for planning and developing water supply and infrastructure projects. These projects are crucial to support community growth and economic development on Native American land. Requires the State Transportation Board to include a representative from an Indian Nation. The board is responsible for planning for the transportation needs of the state. The population of the 22 federally recognized Indian nations in Arizona exceeds 250,000. These Indian nations have unique transportation needs that are not currently being met. Requires that the CAP board of directors include one non-voting member, who is a tribal elected official, to ensure Indian nations are included in discussions about CAP Colorado River water use. The member would be appointed by the governor and selected from a list of three nominees. 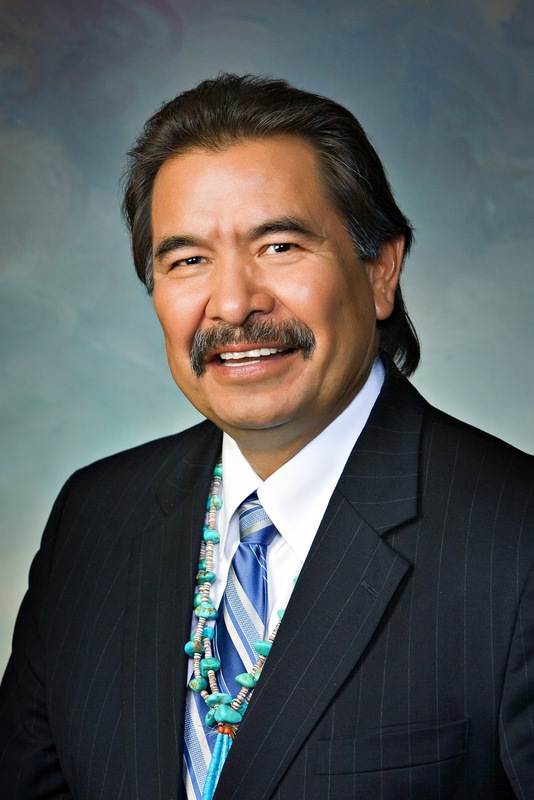 The Inter Tribal Council of Arizona would be responsible for identifying two nominees, and the Navajo Nation would be responsible for the third nominee. These Indian nations should have a seat at the table for discussions regarding water availability and use. Allocates Transaction Privilege Tax money, or sales tax, back to the Native American lands where it was collected. These funds would be used for infrastructure and community development, including telecommunication infrastructure development and roads on Indian reservations. Currently, TPT money is collected from businesses not owned by enrolled members operating on Native American lands. The tax money is distributed to the state, counties and municipalities incorporated under state law. Indian nations are not included in this distribution formula. Native American nations would be authorized to use the TPT money as collateral to fund projects. Asks Congress to enact legislation that would allow construction reimbursement and per diem payments for veterans nursing care homes built on Native American nation lands. Current federal law provides for a 65 percent construction reimbursement and per diem payments to veterans nursing care homes built on land owned by states, territories or land the U.S. possesses. Veteran homes built on Native American nation lands are not eligible for the reimbursement and per diem payments. “Although this will be my last session in the Arizona House of Representatives, my commitment to the community is unwavering. I look forward to working with my colleagues on these priorities,” Hale said.